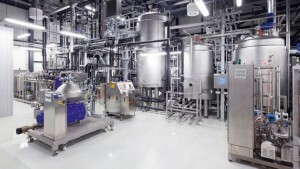 Audi has partnered up with Global Bioenergies to develop a new type of fuel named “e-benzin” from plant sugars. The new Audi “e-benzin” should be produced in a production plant like this by Global Bioenergies in Leuna beginning from 2016. Global Bioenergies is one of the few companies worldwide that is developing a process to convert renewable resources into hydrocarbons through fermentation. The company was initially focused on the production of isobutene, one of the most important petrochemical building blocks that can be converted into fuels, plastics, organic glass and elastomers. The researchers extracted and processed glucose from corn to get the final, clean-burning product of isobutane gas. 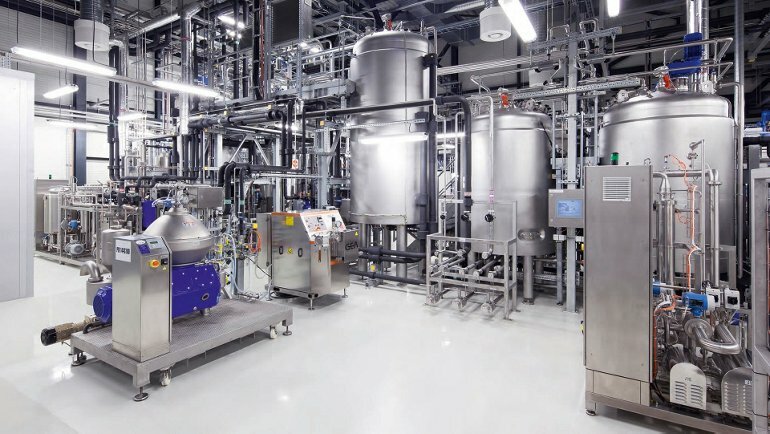 Global Bioenergies makes isobutene, the starting material for Audi “e-benzin”, in its pilot plant in the French town of Pomacle. Isobutene is produced there from renewable raw materials rather than the usual petroleum. Audi wants to further develop the process and make it even less wasteful by completely eliminating the need for corn in the future and only rely on water, hydrogen, carbon dioxide and sunlight. “This first batch of renewable gasoline represents a historic milestone. It is the kick-off of a new, large scale, and decentralised industry which respects the environment and will gradually substitute traditional fossil hydrocarbons,” said Marc Delcourt, CEO of Global Bioenergies. “The confirmation that Global Bioenergies’ renewable isobutene is compatible with a commonly used fossil isobutene to isooctane conversion technology represents a key step on our way to Audi ‘e-benzin’. We are now looking forward to working together with Global Bioenergies on a technology allowing the production of renewable isooctane not derived from biomass sources, following Audi’s ‘e-fuels’ strategy,” added Reiner Mangold, Head of sustainable product development at Audi. Audi is already producing larger quantities of “e-gas” (synthetic methane) on an industrial scale for its customers and is also working on its Audi “e-ethanol”, Audi “e-diesel” and Audi “e-benzin”.